Fresh from the release of their fourth album, Friends for Life, their first to feature original compositions, The High Kings are touring the UK. 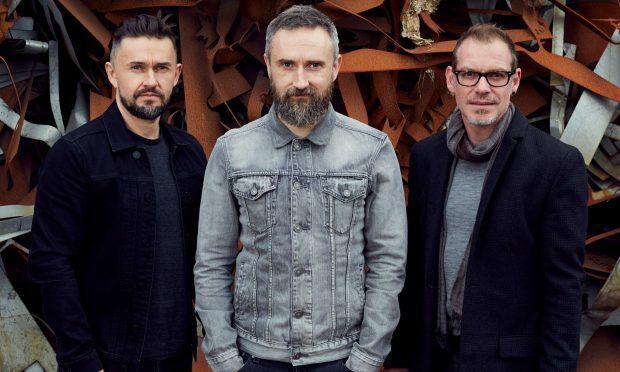 Since their launch in 2008, The High Kings have enjoyed incredible highs such as playing for Barack Obama both in Moneygall and The White House with the American President quoted as saying: “I have two favourite Irish groups: U2 and The High Kings”. Put together by Celtic Woman manager Dave Kavanagh, the band have also been voted Ireland’s folk band of the year for the past four years. Some of the band’s members possessed famous names even prior to the band becoming known as it is made up of Martin Furey (son of Finbar) and Finbarr Clancy (part of the Clancy Brothers dynasty) and Brian Dunphy and Darren Holden have both toured globally with Riverdance while Brian went on to become part of The Three Irish Tenors and Darren later starred on Broadway in Movin’ On. For the full interview, pick up the October 5 print edition of The Irish World.